I’ve been writing, just not on THIS blog! I was invited to write articles for TorqueMag.io and have written several over the past few months. I’ve also been busy with other projects, and my grandchildren, and this blog has taken a backseat. First, I’ll provide links to the articles I have written. They may prove useful to you, they may not, and if nothing else will provide me with a concise summary of my work! Updating Client Sites to WordPress 3.6 – A bit dated now, since we are on 3.9, but it is what it is. A series of articles on how WordPress is put together, and how you can make it do your bidding! In the works is an article about Heartbleed, although there has already been an overload of information. Still, we each bring a unique perspective, and I’ve learned from each article I have read. Maybe my writing will help someone else. And I’m open to ideas for what you would like to see discussed here. Let me know! Maybe I was expecting a more in depth or detailed instructions, specifically directed to “how to build a theme” – what I got was (as the author admits) a whirlwind tour of both WordPress and BuddyPress, a lot of code thrown about with not much explanation, and a ton of links to the codex and other resources to get more in depth information. 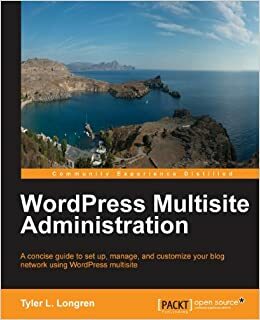 The first third of the book is all about installing WordPress and BuddyPress, something I know how to do, and I would assume anyone considering BuddyPress would know as well. At least the WordPress part could be skippped, perhaps a section on how a BuddyPress install is different than a WordPress install. Once into themes, and theme basics, and developing a theme, it got more interesting. However, I found a lot more allusions to the information I wanted than the information itself. Some teaser information was given, with a link to the codex to follow up. Many times, code was given to add with no breakdown as to what each line was for or what the code actually did. Instructions were to just copy this code to your functions.php or a template file, and such and such function is added. I suppose this is where the included files come in; you are free to tweak them and play with them to see what happens. In short, I was hoping the book itself would be a guide or manual I could use to create a child theme for BuddyPress. Instead, it was more of an overview of where to get the information to create a child theme – ie, the codex. I was also surprised at the number of grammatical errors there were, and the lack of a coherent flow to the material. I was often confused as to why some things were included where they were. Granted, the reviewers likely were all coders or designers, not grammar experts or copy writers, but still…. If you are interested in this title or others relating to web design, and technology in general, check out the $5 sales, going on through January 3 at Packt Publishing. I attended my first WordCamp last month, and I will very likely attend more WordCamps in the future! What is Word Camp? WordCamp is a conference that focuses on everything WordPress. WordCamps are informal, community-organized events that are put together by WordPress users – everyone from casual users to core developers participate, share ideas, and get to know each other. I learned, I networked, I met some of the names behind the code, ate some pretty awesome food, and picked up several T-shirts, sunglasses, stickers, and coupons for deals on hosting services! The sessions were informative and fast paced, so there was a lot of information packed into a very short time frame. It takes a few days after the event to process it all! Tips and tools shared are now in my “arsenal”; I have more resources I can tap to build my business, and opportunities have come up as a result of people met and contacts made over that weekend. WordCamp is worth far more than the minimal registration fee – the “swag” I collected and the lunches alone were worth the cost!